If your Tampa, FL, home’s garage door is damaged, dated, or simply doesn’t suit your aesthetic preferences, then it may be time for an upgrade. But how do you know what type of door to get, and what advantages does one manufacturer offer over another? 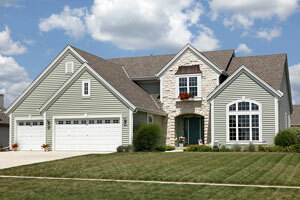 For guidance in selecting your new garage door, turn to the experts at 31-W Insulation. Suit your design preferences – What style of door will best complement your home’s architecture? Meet your budgetary requirements – Do you need an economical door, or is money no problem? Satisfy your practical needs – Do you place a high premium on safety? Energy efficiency? No matter your requirements, you can count on 31-W Insulation to help you find the perfect garage door for your Tampa, FL, home. To learn more, contact us today and schedule a complimentary in-home consultation.